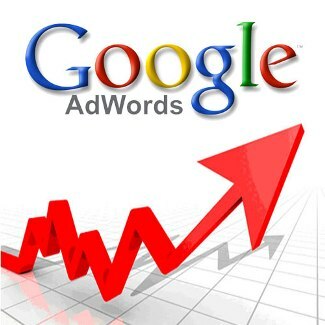 Advertise on Google Adwords has many advantages and if you learn to how to use Google AdWords you can benefit from them. It is a very flexible system that serves both large enterprise and SMEs, can have full control over spending and offers different ways to impact the audience. Despite its advantages, to start with Google Adwords is common to have doubts about its operation. So today’s here we answer the most frequently asked questions from new advertisers. 1. Is it better SEO or SEM? SEO and SEM are complementary practices to improve the ranking of a page in Google. It is possible to use both at the same time because one is not superior to the other. The SEM allows for short-term results, while the SEO provides visits to medium-long without investing in advertising. 2. When paid in Adwords? In Google Adwords you pay only when someone click on an ad. This is what is called the CPC payment model: Cost per click. There are some Adwords campaigns in which you can choose the model CPM (cost per thousand views). In that case you pay when your ad reach thousand impressions. However, the most common Adwords is working with the CPC model. 3. How much money do I have to invest to advertise on Google Adwords? This answer is different for each advertiser, and intervening factors such as keywords for which will bid, the duration of the campaign, segmentation… With AdWords Keyword Planner can get a rough idea of the minimum budget for launch your advertising campaign. 4. How do I know how much I pay at the end of the month? Knowing this amount is very simple. When you create a Google Adwords campaign you set a daily spending budget, the amount of money you want to spend to advertise every day. This figure may be exceeded in some cases, but you can be sure that the monthly investment will not exceed the daily budget multiplied by 30.4. 5. Why do not I see my ads? Some new advertisers often verify that their campaign is underway looking for keywords that are bidding, but this is not the best method. The campaign is active only a few hours a day and you are looking out of this schedule. Look yourself in Google to see if the ads appear is not a good practice, because it lowers the CTR and may spoil the data of a campaign. It is recommended to use the diagnostic and ad preview tool. This tool is essential to know how to use Google AdWords with actions that do not alter the results. 6. What happens if my competition clicks on my ads to generate spending? Adwords has systems to detect invalid traffic, ad clicks that have been made from accidental or malicious manner. These clicks are not credited to your account and not pay for it. 7. If I advertise on Adwords, does my website appear higher in the results on Google? Advertising campaigns on Google Adwords does not have any effect on the natural results. Or what is the same, you invest lot of money, your site will still appear in the same position in searches. The difference is that with Adwords you can achieve a leading position by inserting your company among ads that appear before the natural results. Now that you know why and how to use Google AdWords, the step and controls Google AdWords as a professional.